The Voyager is a battery operated watch winder. To activate the winder, remove the can & motorized rollers from the case, then lay the can on the rollers. Once switched on the rollers keep the can turning. 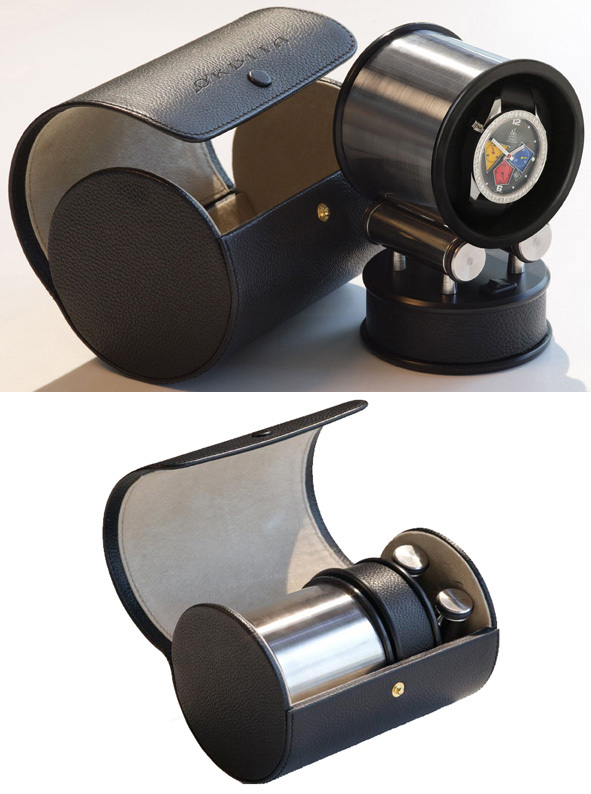 The watch sits on a cushion which fits tightly & securely in the can. While the winder stored away the black leather case will protect your watch while traveling and ensure that it keeps time.